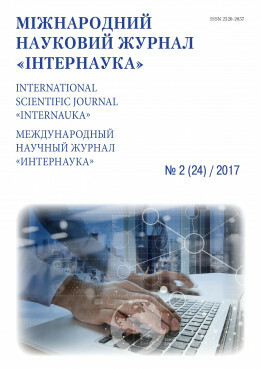 Monarkh V. V.Neyko I. S.
Abstract: The state of linden tree alley on Soborna Street of Vinnytsia was investigated. The species diversity and phonological forms of shoots and leaves morphological components were determined. The last year state of trees and crowns and buds and shoots viability were estimated. The analysis of soil agrochemical composition of root soil and the soil replaced in the holes was carried out in order to identify the impact factors on tree state. We have analyzed the concentration of heavy metals in soils and photosynthetic apparatus of trees. The pests, diseases and other pathogens were investigated. Keywords: linden tree, status, viability.